Feeling overwhelmed? Wondering if it’s possible to move from “out of my mind” to “in control” when you’ve got too many projects on your plate and too much mess in your relationships? You can simplify and savor your life—guilt free! Clutter, tasks, and relationships may overwhelm you now, but God can help you overcome with grace. 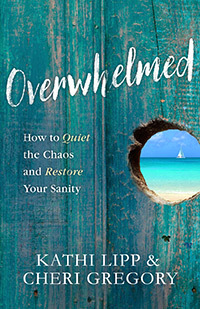 Foreword by Renee Swope, bestselling author of A Confident Heart.